1. If your parents are saying things like "pack as though you are going on a two week holiday!" don't listen to them. They are saying this 'cos they hope it'll be like you are going on a two week holiday. You are not. You're moving out! 3. And neither is 9 pairs of leggings... so don't think you look silly bringing that many! 8. ...and don't forget your keys! 9. Check if you have a double or single bed, you might need to buy all new bedding for a different sized bed. I haven't actually moved to uni yet, I've literally just packed and this is what I have already learnt from my 'packing experience'. I'm sure I'll have forgotten something or realise something else once I've moved in and unpacked! 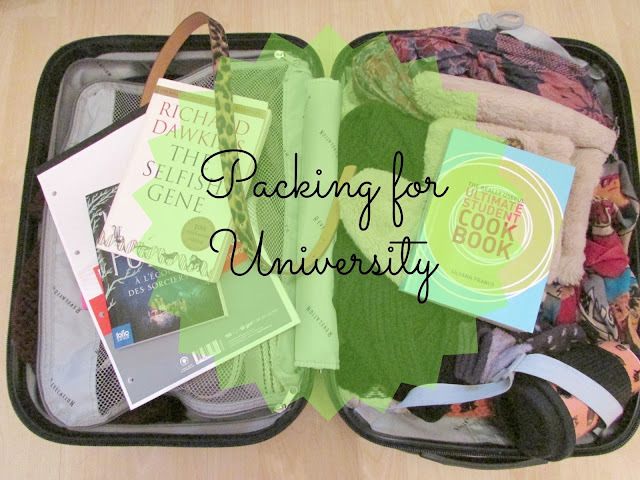 Are you moving back to uni this year? Or just starting your first year like me? I'm not going this year, next year is my year! Thanks for the future tips ha! Good luck with moving. I finished uni this year and I took so much stuff with me when I moved out. In fact you're doing good with 8 pairs of shoes. I returned home from uni with over 20 pairs...oopps! Hi. I'm your new follower! I love your blog, you have some really great posts!